'Bitcoin' - the 'South Sea Bubble' of the 21st century. Charles 'Charlie' Shrem IV (born November 25, 1989) co-instigator and CEO of the 'Bitcoin startup company, BitInstant,' instigator of the 'Bitcoin Foundation' of which he was Vice Chairman until January 2014 when arrested for money laundering. Once upon a time, a good fairy created 21 millions miraculous coins (out of thin air) - the coins constantly rose in value and, thus, only those people who were clever enough to believe in them, lived happily ever after. At the present time, who has ultimately been gathering the lion's share of the cash out of peddling places in the non-existent 'Bitcoin' Utopia, remains a mystery. One thing is certain, however, the real beneficiaries of the 'Bitcoin' bubble, have bailed out prior to its most recent crash. They will, no doubt, soon be creating a new, and even more-exciting, chapter, in their never-ending 'financial' fairy story. 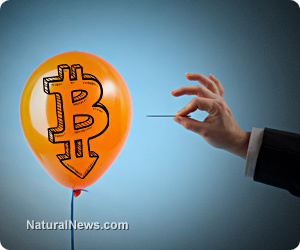 Is it a Ponzi scheme or a speculation bubble? In response, I quite openly-stated that 'Bitcoin' is, without a shadow of a doubt, soon to go down in history as being to the early 21st century: what the 'South Sea Company' was to the early 18th century. i.e. 'Bitcoin' has been the name over the entrance to an absurd swindle hiding in plain sight and, just like 'Bitcoin's' historical counterpart, it has already spawned copy-cats. 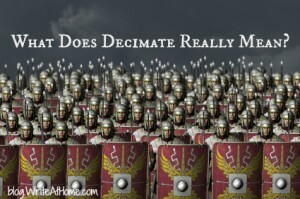 Ignoring all their bedazzling camouflage, the universal identifying characteristic of Ponzi schemes, pyramid frauds, money circulation games, chain-letter scams, etc., is that they have no significant, or sustainable, source of revenue other than their own participants. Thus, about 15 years ago, I coined the common-sense phrase: 'premeditated, or dissimulated, closed-market swindle,' in order to describe all Ponzi schemes, pyramid frauds, money circulation games, chain-letter scams, etc. The lie which is fundamental to all 'closed-market swindles' is that people can earn financial reward by first contributing their own money to participate in an (alleged) 'profitable commercial opportunity' which is secretly an economically-unviable fake, due to the fact that the (alleged) 'profitable commercial opportunity' has been rigged so that it generates no significant, or sustainable, revenue other than that deriving from its own participants. For more than 50 years, 'Multi-Level Marketing' racketeers have been allowed to hide in plain sight, dissimulating some of the most-extensive closed-market swindles of all time, by offering endless-chains of victims (arbitrarily, and falsely, defined as 'Distributors, Independent Business Owners,' etc.) various banal, but effectively-valueless commodities, and/or services, in exchange for unlawful losing-investment payments (based on the false-expectation of future reward), but laundered as 'sales' (based on value and demand to 'customers and end-users'). However, since no gang of 'MLM' racketeers has ever proved that 'MLM' wampum has actually been regularly re-sold to the general public for profit in significant quantities, tens of millions of 'MLM' participants have, in fact, been peddled infinite shares of their own finite money. 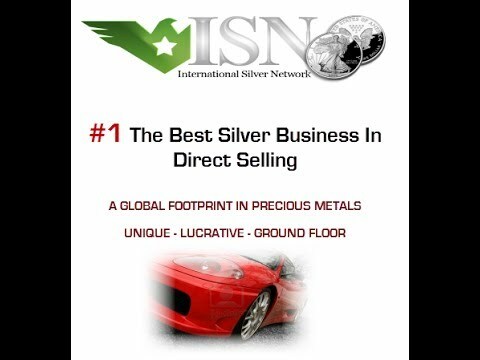 In recent years, there have been a significant number of 'MLM Income Opportunity' racketeers who have hidden their criminal activities behind claims to be selling valuable coins, and/or precious metals and/or stones, which will increase in re-sale value. In the final analysis, other than their ephemeral external presentations, internally there is no real difference between all closed-market swindles; for any alleged 'opportunity to make money,' wherein (when challenged, and/or rigorously investigated) the promoters are unable to provide independent quantifiable evidence to prove that their alleged 'viable commercial activity' has had any significant, and sustainable, source of revenue other than its own participants, is self-evidently a dissimulated closed-market swindle. Should anyone begin printing or minting pounds, dollars, Euros, Yen, etc. they would be committing the criminal offence of counterfeiting. 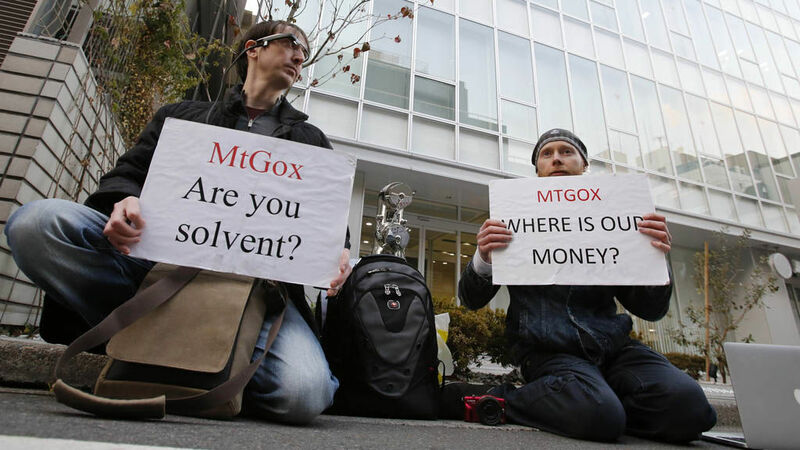 However, although it doesn't seem possible, the unoriginal economic alchemists behind the 'Bitcoin' phenomenon, have demonstrated that, currently, anyone can create, and peddle, an apparently revolutionary new means of exchange in the form of an unguaranteed digital currency, provided enough uncomplaining persons continue to buy it using guaranteed currency, because, obviously, such individuals need to believe that their bitcoins have value and will increase in value. 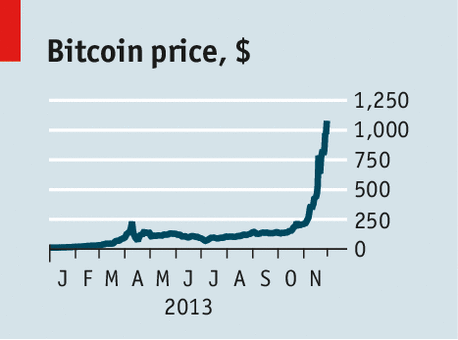 'Bitcoin' exhibits some, but not all, of the characteristics of a Ponzi scheme. What exactly is it that a greedy minority of crooks always keep trying to do, when corrupt, and/or naïve, political leaders fail to identify them as being dangerous to the majority, and allow them to steer nations' monetary policies in whatever profitable direction they want? The rather obvious answer to this important question has been known for three centuries; for, even before the Industrial Revolution (let alone the Digital Revolution), central banking systems and many of the other so-called essential structures, and instruments, of free-market capitalism (which have produced today’s failing global-economy) were already being installed in England, but without the slightest independent regulation. In 1711, the incorporation of a ‘South Sea Company’ was proposed by two London merchant/ stockbrokers, George Caswall (of Turner Caswall & Co.) and John Blunt (of the ‘Hollow Sword Blade Company’). What they initially offered, seemed to be a perfectly viable investment scheme linked to profits generated by Britain’s growing overseas trade. As such, at first glance, the ‘South Sea Company’ prospectus closely-resembled that of the ‘East India Company’ which itself was based on a variation of the theory of insurance (i.e. the off-loading of financial liability held by the few, onto the many). In 1708, the directors of the ‘East India Company’, supported by their political allies, had, in exchange for lending the government approximately £3 millions, legally-acquired the hugely-profitable (temporary) monopoly of British trade with the ‘East Indies.’ The government's £3 millions debt to the East India Company (upon which annual interest was paid via tarifs imposed on goods imported into Britain by the East India Company), was then carved up and resold to private investors in the form of ‘East India Company’ stock (the value of which was subject to market forces). Dividends were only paid to share holders on the East India Company's actual net-trading profits. Completely contrary to what they initially claimed to be doing, the instigators of the ‘South Sea scheme’ progressively circumvented the ‘Bank of England’s’ juicy monopolies, by deliberating creating an insolvent corporate trading-front behind which lurked another profitable, but unlawful, national bank. Unlike the 'East India Company,' this mystifying, legally-registered corporate structure would first agree to pay dividends to share holders only on net-trading profits, but then make no significant net-profits from trade; instead, the 'South Sea Company' would hide in plain sight unlawfully paying dividends to its share holders derived from the government's annual interest payments whilst peddling more and more people an exclusive financial product derived from carving up more and more government debt. 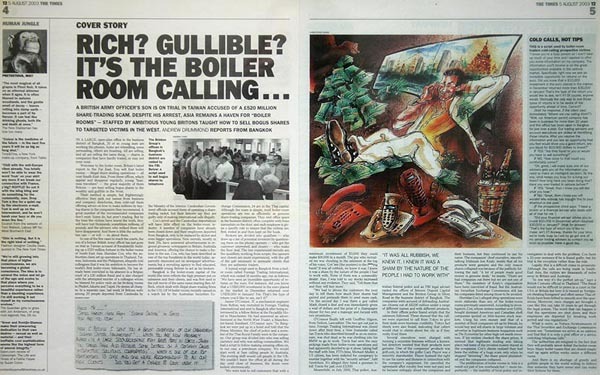 In simple terms, the so-called 'South Sea scheme' was a dissimulated closed-market swindle without any significant source of revenue other than its own participants. As such, it was based on the crack-pot economic theory that: never-ending recruitment + never-ending payments by the recruits = never ending profits for the recruits. It is now generally accepted by historians that the entire 'South Sea scheme' had been largely-devised by Edward Harley, the younger brother of Robert Harley (Britain's new Chancellor of the Exchequer), and John Blunt. 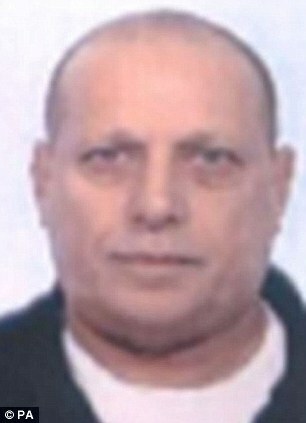 When the wider picture is examined, Robert Harley is revealed as being a classic target for swindlers. In simple terms, the politician who enthusiastically helped to drag the Trojan Horse 'South Sea Company' inside Britain, had such a high opinion of himself, that he was certain that he could not be deceived. 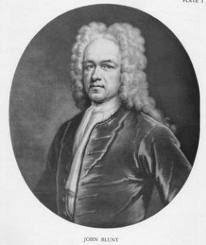 Furthermore, self-righteous, Nonconformist Christian and leading member of the Whig party, Robert Harley came to office in August 1710, at a time when government debt was spiralling out of control due to previous mis-management of the nation's finances, combined with Britain's ongoing involvement in the vastly-expensive ‘War of Spanish Succession.’ Thus, desperate to find cash to keep paying the Duke of Marlborough's army fighting in Europe against Spain's allies the French, under the influence of his brother, Edward, and John Blunt, the new Chancellor's first move was to turn away from the Bank of England. John Blunt of the 'Hollow Sword Blade Company' (a bank), along with a private banking consortium including Edward Gibbon and George Caswell, were given the right to sell £100 tickets for a national lottery. This offered all players a minimum (net-loss) 'prize of £10,' but a few lucky players would get maximum prizes up to £20 000. However, the winners soon discovered that their prizes were not paid out as lump-sums. In this way, more than £1 million was raised within a few months. Blunt, Caswell and Gibbon (along with friends and relatives) pocketed huge commissions and 'expenses' for promoting the lottery and selling the tickets. It seems that these events further convinced Robert Harley that he was destined to go down in History as a great man. Whilst the Lottery was in full swing, Robert Harley headed a parliamentary committee (including his younger brother, Edward, his brother- in-law , Paul Foley, and John Aislabie who led a group of 200 members of parliament known as the 'October Club). The committee was appointed to investigate, and calculate, the national debt. In reality, the Chancellor already knew this to be approximately £9 millions. In the face of political opposition, what appeared to be Blunt and Caswell's prospectus for a ‘South Sea Company,' was supported by Robert Harley, who was so certain of its authenticity, that he personally organised a campaign of pamphlets and editorials in newspapers. Notable poet and collector of antiquarian manuscripts himself, Robert Harley employed his literary friends as propagandists. They were some of the most talented English prose writers of the day, including Daniel Foe (a.k.a. ‘Daniel Defoe’) and Jonathan Swift. 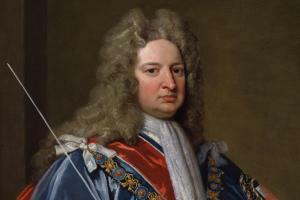 As a reward for his efforts, Robert Harley was made Earl of Oxford and promoted to the post of 'Lord High Treasurer.' Secretly, members of the British government (including Robert Harley) were already in peace talks. Consequently, rumours were rife that the 'War on Spanish Succession' was about to end and that the 'South Sea Company' was going to make all its investors rich. Behind all the pretty words and exciting images, the reality of the ‘South Sea Company’ was somewhat different. Although the instigators knew that their company was destined to be the front for an unlawful national bank (which would not make its real profits from trade), the 'scheme's' covering 'commercial' activity was intended to be the purchase of kidnapped humans in W. Africa to be transported and sold into slavery in the Americas. 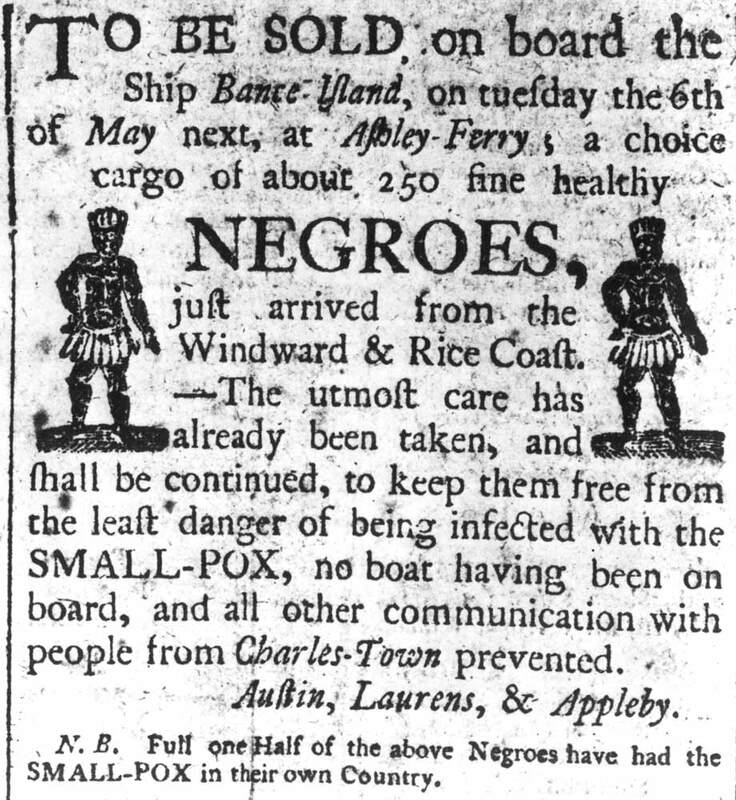 This horrific racket was a perfectly legal business at the time; it was falsely justified by the convenient, contemporary belief that negroes were subhumans and, therefore, no different to farm animals. 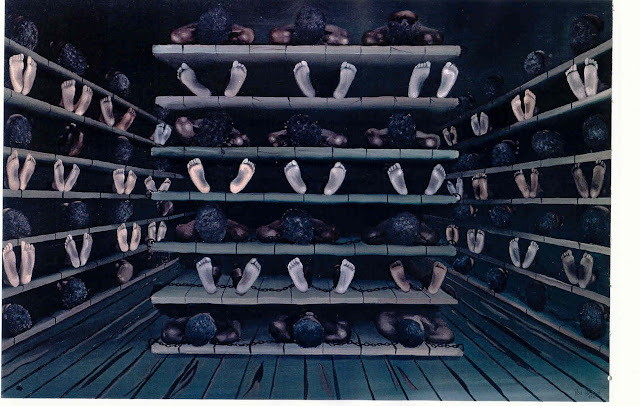 After discharging their surviving human cargo, the 'South Sea Company' slave ships (which each would have a Christian Minister on board) were to be used to transport goods to Europe. In 1711, a joint-stock company (i.e. a corporate structure with a specified commercial purpose, initially financed by capital raised from the public sale of shares in its declared assets and projected trading profits) was legally- incorporated by Blunt and Caswall. In return for a future monopoly of British trade with South America, the ‘South Sea Company’ was permitted, by Act of Parliament, to assume liability for a portion of the British National debt. Private holders of a recent issue of government securities (with a guaranteed face-value), were obliged, by the same Act of Parliament, to exchange these for ‘South Sea Company’ stock (with a nominated value). The initial rate of exchange was determined by the government, but, thereafter, the value of the stock became subject to market forces. The company was permitted to raise extra working-capital by borrowing against the security of the future debt-repayment due from the government. The government agreed to pay the ‘South Sea Company’ 6 % annual interest (in perpetuity) on approximately £9 millions value of the national debt (fixed at the moment of exchange). However, stock-holders had no rights to a share of the approximately £568 000 annual interest and 'expenses' payments to the company. Officially, dividend payments had to depend solely on the company’s actual trading profits. Unfortunately, South American ports had been closed to British ships since the start of the war in 1703, but the government intended to fund its interest payments to the ‘South Sea Company’ from tariffs on the millions of pounds worth of goods which the company was (theoretically) going to be importing once the war was successfully concluded. As predicted (by Robert Harley and his friends), the ‘War of Spanish Succession’ soon ended. 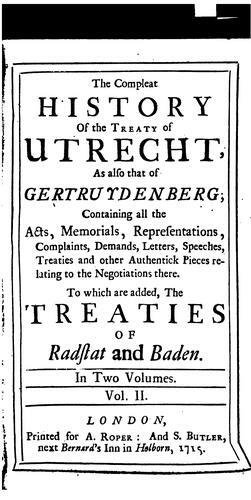 However, as enormous international tensions remained, the Treaty of Utrecht (1713) granted Britain only limited trading rights with Spanish colonies. Just one solitary British ship, carrying not more than 500 tons of cargo, was allowed per year. A further clause in the Treaty of Utrecht, specified a maximum annual British quota of 4800 slaves. Consequently, an immediate boom could not occur. In fact, the ‘South Sea Company’ only conducted its first, allotted slave trading during 1717, and this represented a net-loss. As they had always intended, to increase income, the company’s officers took on a further £2 millions of national debt to be converted into stock, but they now unlawfully increased the market-value of their existing stock-issue by paying dividends to share-holders using capital which they’d legally borrowed against the security of the government’s future interest payments. During 1713, the market-value of (what should have been) the technically insolvent ‘South Sea Company’ was artificially-increased by 40%. Despite the fact that, to achieve this the company officers had wilfully breached the terms of an Act of Parliament, no private investor had cause for complaint, and independent financial regulators didn’t exist. Although relations between Britain and Spain were on the slide, supporters of the ‘South Sea Company’ steadfastly denied this bleak reality, insisting that long-term prospects for future earnings were excellent. In 1718, another war with Spain broke out. South American ports were again completely closed to all British ships. 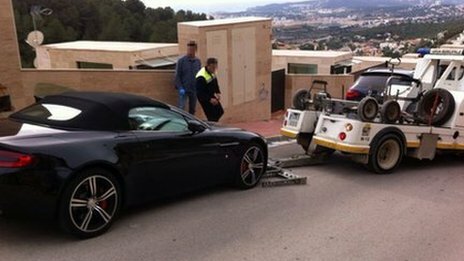 Therefore, the ‘South Sea Company’s’ specified commercial purpose disappeared overnight. Since the company’s officers were only authorized to pay dividends using actual trading profits, the shareholders had become the contributing participants in an unviable system of economic exchange without a sustainable source of external revenue. Whilst the war continued, the company couldn’t conduct any trade. Self-evidently, there could be no actual profits to divide. In reality, the pieces of paper printed as ‘South Sea Company shares’ had become fake securities, because they had long-since lost their guaranteed face-value. Therefore, any unqualified ‘commercial’ vocabulary used to describe the subsequent criminal activities of the officers of the ‘South Sea Company’ should be considered a misleading use of language. Obviously, it was now impossible for everyone involved to face reality. 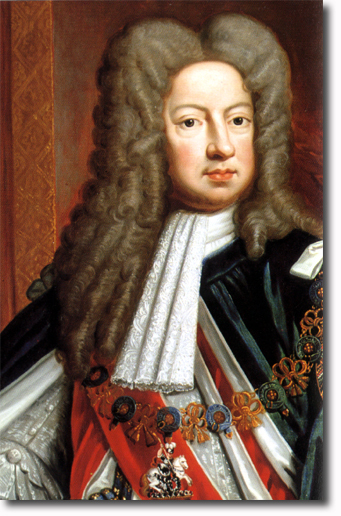 To maintain confidence, Robert Harley and his friends had encouraged King George I to become ‘Governor of the South Sea Company.’ For a period, Britain’s Head of State was the unwitting front-man for what was soon to become one of the most convincing, and extensive, closed-market swindles in history. 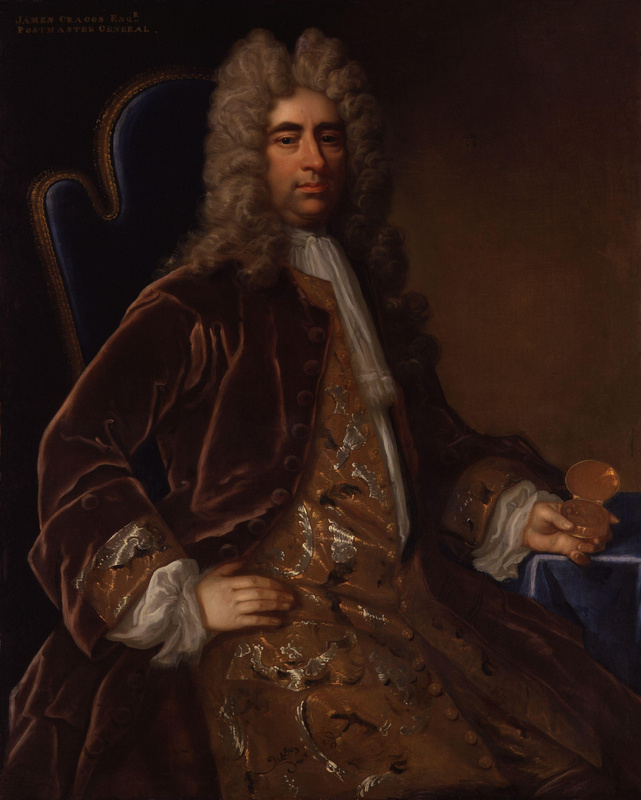 By 1719, Robert Harley had fallen from royal favour and the new ‘Chancellor of the Exchequer,’ John Aislabie, was again facing a rising national debt. This time, it was already over £50 millions. John Blunt and his ‘company cashier,’ Robert Knight, again offered salvation. In the face of competition from the ‘Bank of England,’ they proposed what they arbitrarily defined as a ‘larger joint-stock, investment scheme’ where private holders of a new issue of approximately £31 millions of government securities (with a guaranteed face-value) could voluntarily convert these into ‘new South Sea Company shares’ (with a nominated face-value). Without a full explanation of the source of their finance, Blunt and Knight offered to pay the government an immediate £7.5 millions fee for the privilege. To sweeten the deal, the pair even promised that the government would only have to pay 5% annual interest on the new debt, and that this would be lowered to 4% after 8 years. Knight then corrupted approximately 50 members of parliament and numerous friends of the King. The (freshly-Knighted) Sir George Caswall had been elected to parliament, 2 years earlier. The bribes comprised valueless pieces of paper, elaborately printed as ‘new company shares,’ but which would acquire a market-value only if the proposed ‘South Sea stock-conversion’ was voted through parliament. Recipients of the bribes included: Charles Spencer (First Lord of the Treasury), Charles Stanhope (Secretary to the Treasury), James Craggs the Elder (Postmaster General), James Craggs the Younger (Southern Secretary) and the Duchess of Kendal (the King’s favourite mistress). 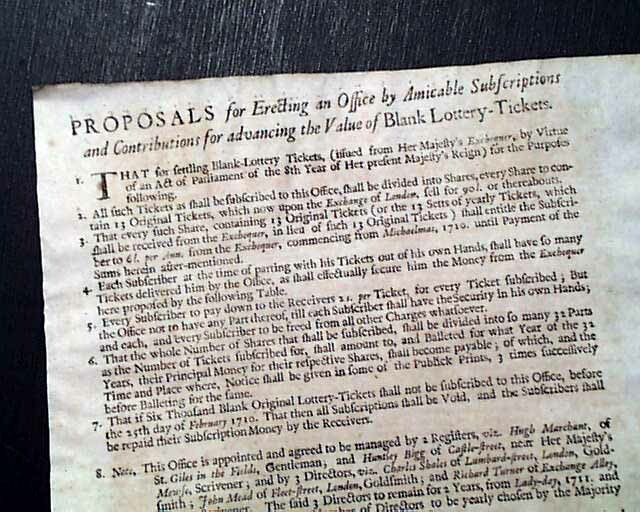 In the Spring of 1720, parliament duly passed another Act which agreed to Blunt and Knight’s so-called ‘investment scheme.’ In order to finance the new debt-acquisition, the ‘company’ was given official permission to increase its number of existing ‘shares.’ However, to pay the £7.5 millions fee, the government’s own securities needed to be exchanged for ‘new South Sea Company shares’ at a nominated rate already different to the securities’ guaranteed face-value. There were some common-sense objections at the time, but, incredibly, the ‘South Sea Company directors’ were allowed to set their own rate of conversion. Obviously, the greater the nominated value of the ‘new shares’ at the moment of exchange, the greater the profits were for the ‘directors’ and for everyone whom they’d bribed. 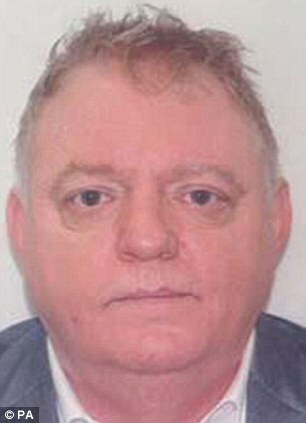 In the end, the exchange-value of the bribes alone totalled over £1.2 millions. 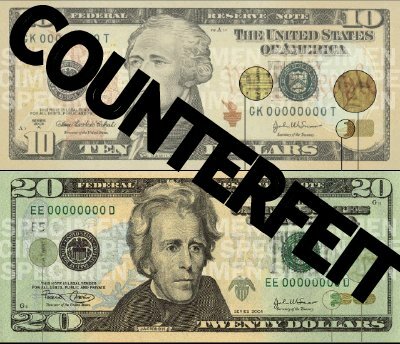 In effect, the Parliamentary Act was a license to print, and launder, a form of counterfeit currency. Once the conversion was completed and the government was paid, the counterfeiters began to use various ruses to drive-up the market-value of their ‘new shares.’ Again, using pamphlets and newspaper editorials, exciting rumours were started about ‘secret, future trade agreements and the unlimited value of future trade with the Americas.’ When this ‘positive’ propaganda tactic worked, and share prices rose steeply, the counterfeiters then sold further issues of ‘new stock’ and started to lend cash (via their own Bank, the ‘Hollow Sword Blade Company’) against the artificially inflated market-value of their previous issues, but only to enable individuals to purchase the subsequent issues. There was a veritable mania to buy - a contagious mass-psychosis, akin to gambling fever, began to spread throughout the land. 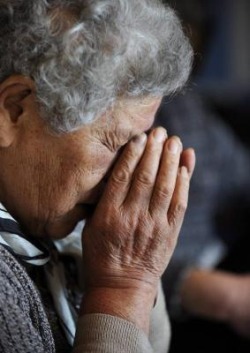 In the end, there were more than 30 000 reality-denying believers - all convinced that they couldn’t lose. Some profits were taken when some private ‘share-holders’ re-entered reality and began to realise that it was all too good to true. When the ‘South Sea share’ price hit the psychological barrier of £1000 at the end of June 1720, public confidence finally began to crack. An increasing number of people, including the instigators themselves, then began to sell-out in a panic. The bubble started to deflate. By the second week of September, ‘South Sea stock’ had lost 33% and it was still in free-fall. Fearing that the British economy might collapse, the directors of the ‘Bank of England’ (who managed about 8% of the national debt) offered their silver reserves to underwrite and stabilise ‘South Sea shares' at £400. Many grabbed this offer, but the ‘stock’ continued to plunge. On the September 24th the ‘South Sea Company’s’ own bank stopped redeeming ‘South Sea stock.’ The directors of the ‘Bank of England’ now withdrew their previous offer, creating even more panic. Many depositors became convinced that the government’s bankers didn’t possess sufficient reserves to meet their obligations. Tens of thousands queued to withdraw their savings, and/or convert their paper money into gold. By the end of September 1720, the market-price of ‘South Sea stock’ had collapsed to approximately £135. Several thousands people (including many aristocrats) were ruined, five banks had failed. There was some rioting in London streets, whilst an unknown number of bankrupt victims committed suicide. Parliament was recalled in December and the government was forced to form a committee to investigate and report. In the Spring of 1721, the labyrinth of lies and corruption was only partially unveiled. Many of the guilty parties remained isolated from liability. Some, including Charles Spencer and Charles Stanhope, were impeached. James Craggs (the Younger) dropped dead before he could be held to account, whilst his father (probably) committed suicide. The Craggs’ vast profits and estates were confiscated from their heirs by the Crown. John Aislabie was imprisoned. 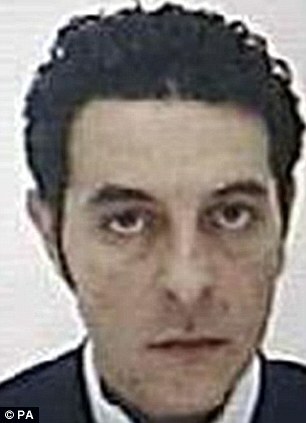 Robert Knight, had already run away to the Continent with bundles of cash. 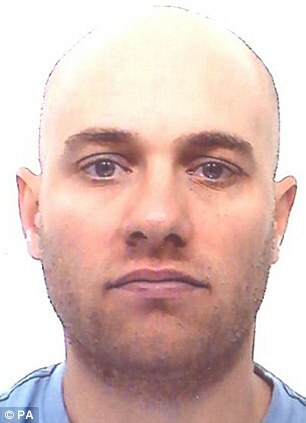 John Blunt, was arrested and put on trial. His profits and estates, along with those of his fellow ‘company officers,’ were also confiscated by the Crown. The new, First Lord of the Treasury, Robert Walpole, saw too it that these seized funds were used to relieve the victims. ‘South Sea Company’ stock was divided between the ‘Bank of England’ and the ‘East India Company’ and new directors were appointed. The restructured ‘South Sea Company’ continued to trade in times of peace until the 1760s, but its principal role remained the management of government debt. It was finally wound up in the 1850s. According to the ‘South Sea Company’s’ accounts, over a period of 25 years (1717-1742), 96 triangular trading voyages were undertaken and a total of 34 000 humans were purchased in W. Africa. At least 4000 (11%) did not survive the nightmare journey across the Atlantic.